Our PHD’s produce high purity peptides in our world-class laboratory. We provide USA based customer service, technical support and shipping. We run price matching program. Contact us for COA, MSDS and Tech Data Sheet. 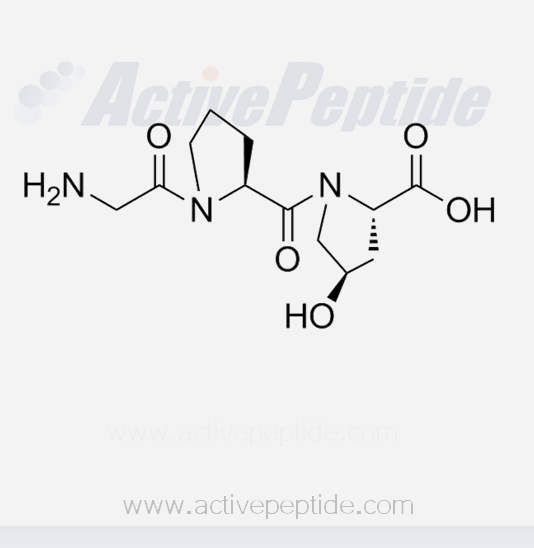 Tripeptide-29 is a synthetic collagen-like tripeptide composed of Hydroxyproline, Proline, Glycine. It is synthesized as a pure substance so that it is very safe ingredient with zero Antigenicity and no Allergy creation. This product is pure powder with purity >95%. No excipients, preservatives, anti-oxidants present, or used during the manufacturing process. It is 100% synthesized in laboratory so not involved with plant, vegetable, or marine. It is neither palm derived nor sustainably sourced. 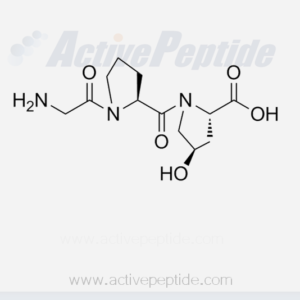 Active Peptide Company provides a comprehensive offering of cosmetic peptides, API peptides and intermediates. We offer online shipping convenience, custom synthesis, kilogram-production and quality assurance; Our 12,000 square foot lab in China is equipped with advanced technology and world class instruments; Our highly skilled PhD scientists are committed to ensuring that the most appropriate techniques are selected for every project to achieve high quality and cost efficiency.